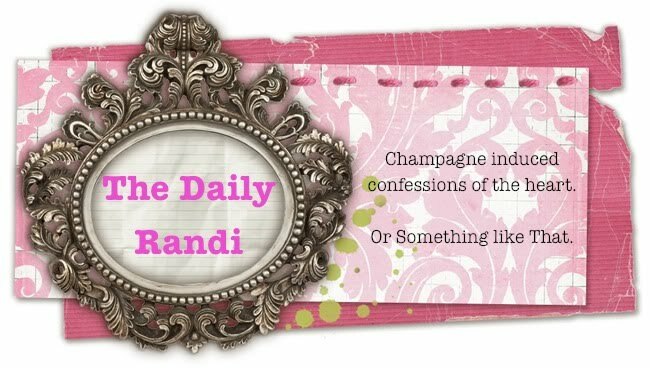 The Daily Randi: Pass The Mashed Dreams, Eh, I Mean Potatoes. Pass The Mashed Dreams, Eh, I Mean Potatoes. This is My 2008 Thanksgiving Day Post and I would just like to go on the record by stating I Am Extremely Ungrateful. I wish I had All The Money In The World, I was out of Credit Card Debt, I lived in A Mansion, and I had lots of Fancy Clothes. Oh, and A Dog. I wish I Had A Dog. And A Dog Walker. And someone to do My Hair And Makeup every time I went out. And one of those Sink-In Bath Tubs. And A Wii. I would really like An iPhone. Better Health Insurance would be Good, too. A More Effective Metabolism would be Awesome. Actually, Scratch All The Other Stuff Out, I wish I just had A Fantastic Metabolism. Then I would be Super Thin and get All That Other Stuff, anyhow. Well, A Fantastic Metabolism and A Personal Trainer. And A Dog And Dog Walker. And/Or An iPhone. Okay. Final Wish List: A Fantastic Metabolism, A Personal Trainer, and A Dog With A Touch Screen That Can Play Music, Make Calls, Surf The Web, and Pick Up Its Own Poop. That’s what I Would Be Really Grateful for this Thanksgiving. I guess Having A Brand New, Wonderful, Loving Husband this Thanksgiving will have to do. At least he Picks Up After Himself most of the time. And he Makes Calls. But, Seriously: Some Girls Have All The Luck. If they can make Puggles, or whatever they're called, I'm sure they can make dogs with touch screens. However, I think you are out of luck on the picking up its own poo thing - surely if that were possible it would have been done ages ago.